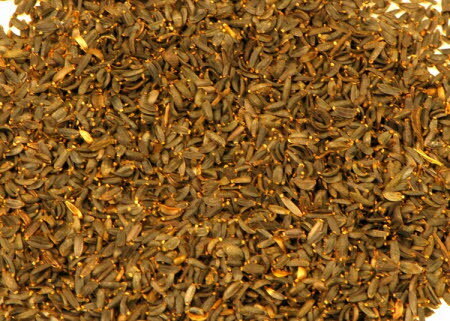 Dyers Coreopsis (Coreopsis tinctoria) seeds. The seeds are counted and placed in a polythene grip-seal bag with a label. We then place the seeds in a small padded envelope and post them to you First Class. N.B. Coreopsis seeds are very small and light, so open the packet indoors or in still air!